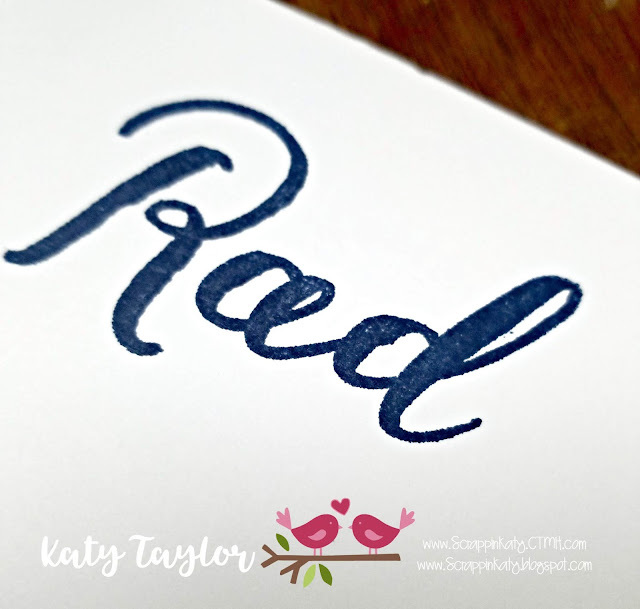 When creativity strikes, you can be sure to find a full spectrum of color-coordinated products within any Close To My Heart catalog, including our most often unsung hero—the re-inker. 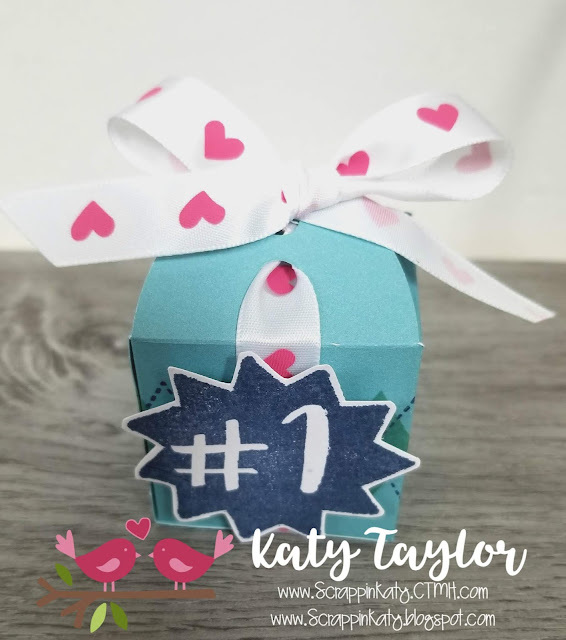 Available in every exclusive color, these awesome little ink bottles can be used for so much more than to re-fresh its stamp pad counterpart (although they are pretty great at that, too!). The ink is an acid free, water-based dye that can also be splattered using a paintbrush, misted using a spray pen, mixed with water and painted on for a watercolor look, and applied in as many other creative ways as you can come up with. Whether you’re a novice or a pro, re-inkers make color coordination easy and effortless for any crafter! 1. There’s the Almond “watercolor” wash behind the journaling on the right page. It’s a perfect color match with the Almond cardstock used in the background, tying the journaling aspect of this layout with the visual elements quite nicely. To achieve this look, mix some ink from a re-inker bottle with a bit of water and then paint away! 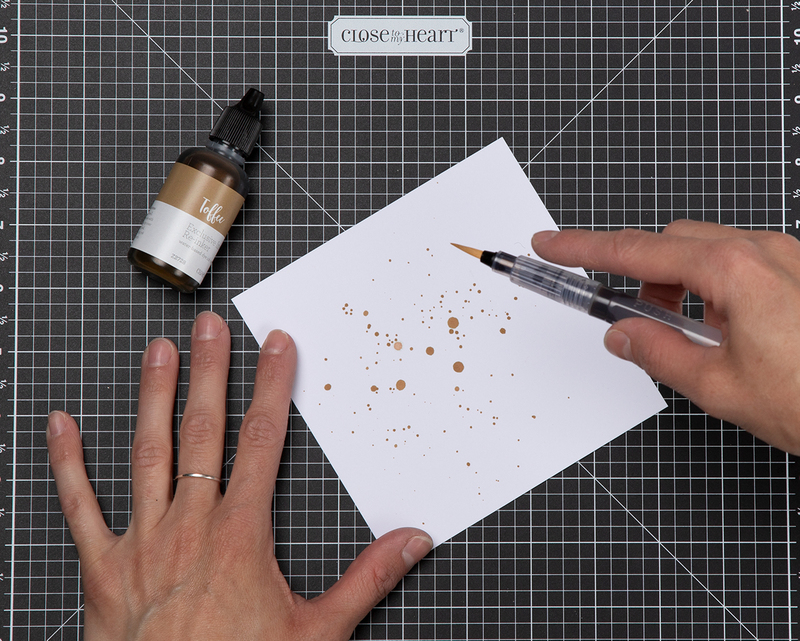 If you’re using a paintbrush, add a few drops of ink to the inside of a stamp pad lid along with a few drops of water. Keep in mind that the more water you use, the lighter the color will end up. Pick up the ink with your brush and you’re set! (To avoid water-warped paper, use watercolor paper.) 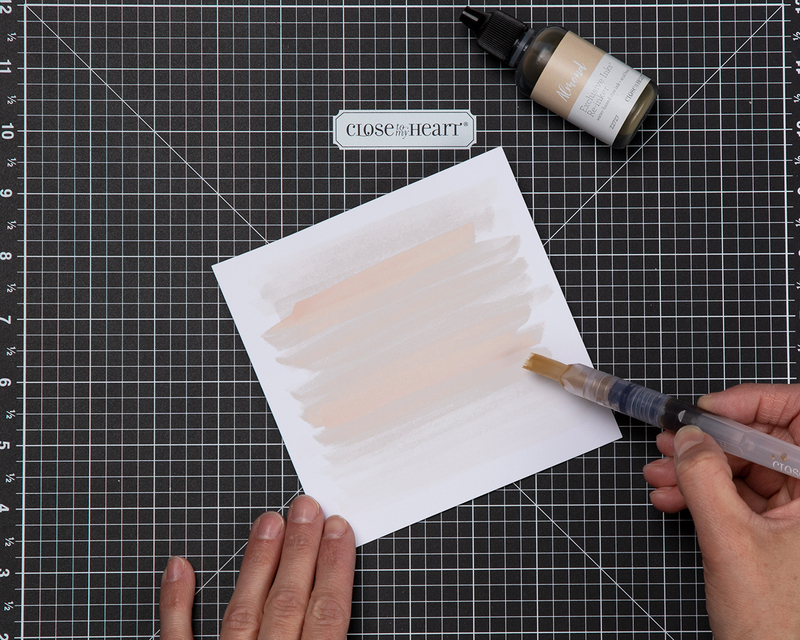 With a waterbrush, you have the option of mixing the ink and water directly in the brush, where you squeeze the diluted ink right onto the bristles. You are going to love painting with our inks! 2. The second place we used a re-inker was to make the Toffee ink splatters on both pages of this layout. Again, add a little bit of water to your ink (to dilute the tone as much as you want and so that it will splatter easier than straight ink) and then, with the ink on your brush bristles, gently tap the brush a few inches above where you hope the splatter will land on the artwork. Were you able to find where we used a re-inker the third time? 3. It’s a bird, it’s a plane, it’s…white ribbon dyed Crystal Blue! 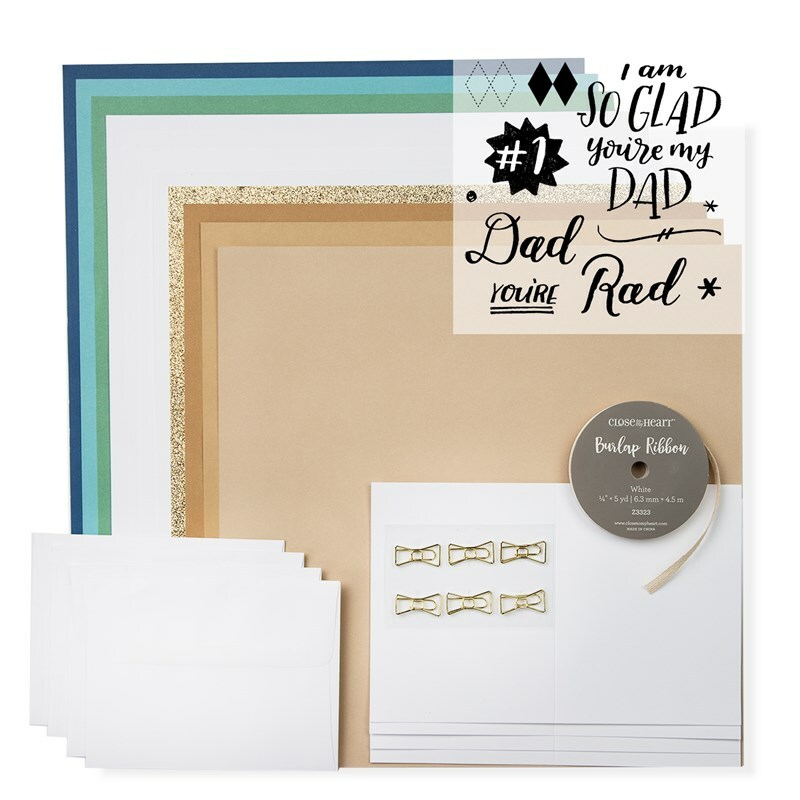 Dye white ribbons and twines with any of our re-inkers to get just the right color match you need for those finishing touches we all love. 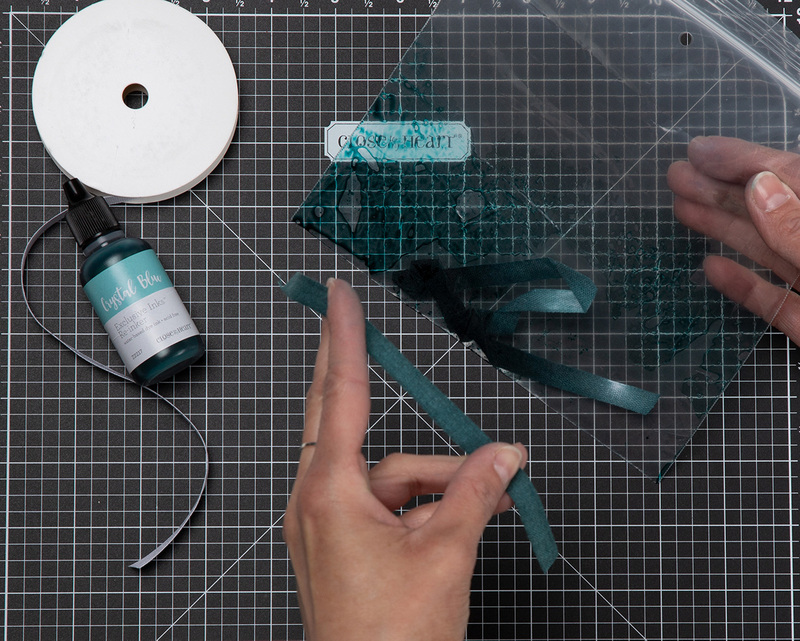 To dye your ribbon, place the cut piece inside a small bag and then add ink. Seal the bag and mix it until you are satisfied with the color. 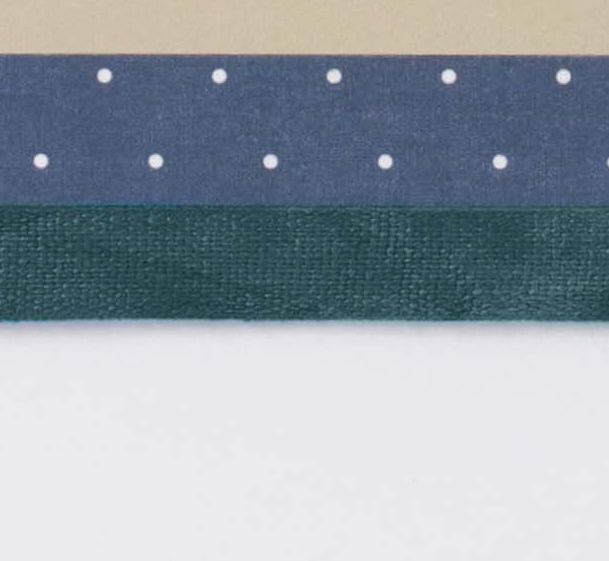 Add more ink, if necessary, either to ensure the entire ribbon gets covered or to darken the tone. 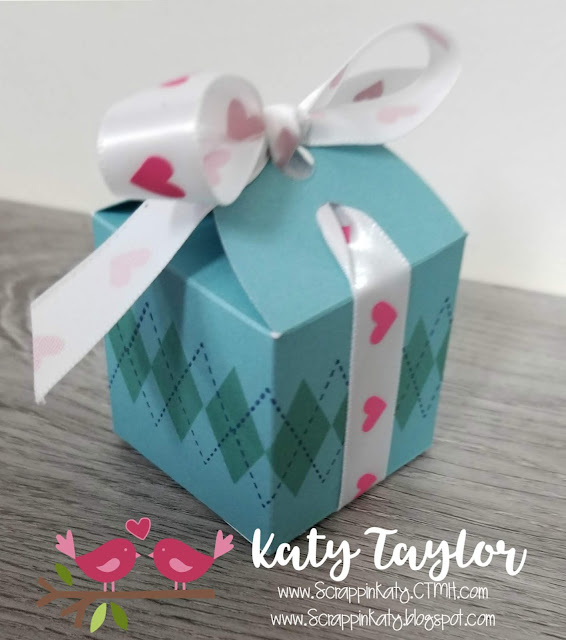 When you’re ready to pull the ribbon out, use gloves to avoid getting ink all over your fingers (this can get messy fast). The ribbon will need to dry before you can use it in your artwork. For a faster drying time, use a craft heater (or even a blow dryer could work in this instance). 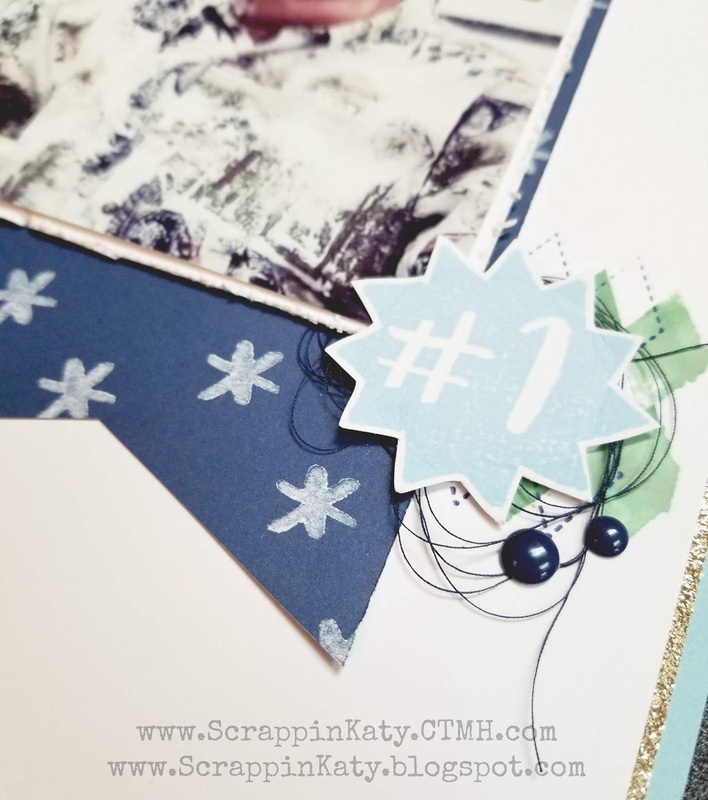 No matter what, you can always have a ribbon or twine to match your art! 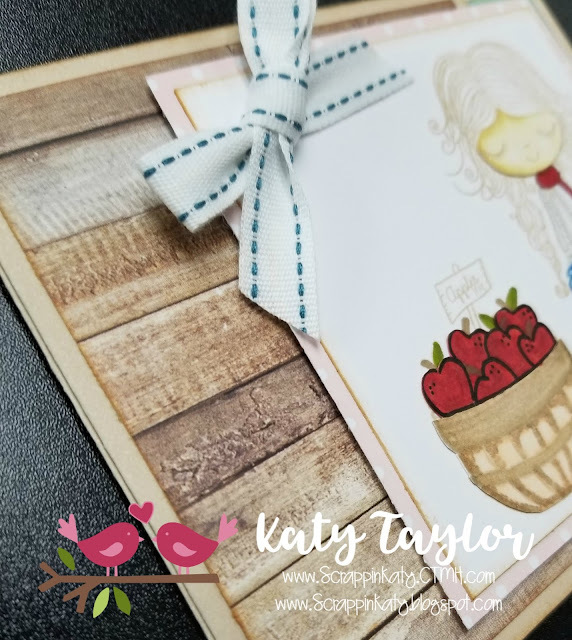 This card illustrates two additional fun ways to use re-inkers in your artwork. What are they? 4. More splatters, this time with a stencil and a spray pen. Create a white space inside your “splatter zone” with the use of a stencil. We kept things simple in our example and used a circle, but really you can do this with any shape you want—consider all of the Cricut® shapes you have at your disposal and get creative! To use the spray pen, simply fill it with some water and add a bit of ink from a re-inker bottle, shake, and then spritz. 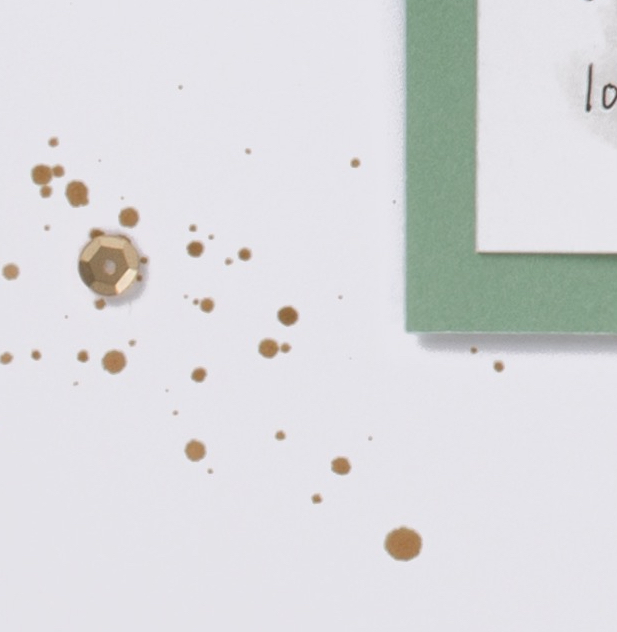 Raise the spray pen higher for a subtler splatter and closer to the paper for a more concentrated splatter. If you want the ink to dry faster, try using rubbing alcohol instead of water. 5. 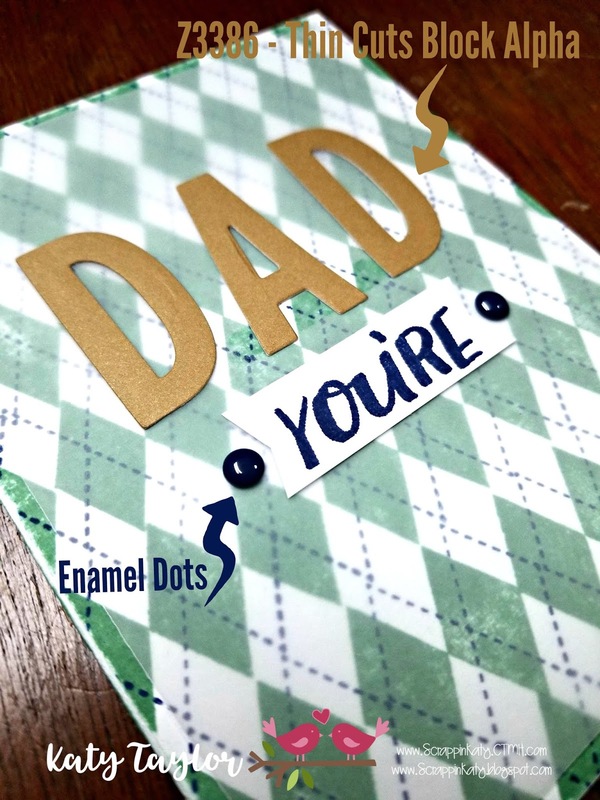 How do you like the ink effect used in the stamped sentiment of this card? With very little effort, you can make your very own multi-color stamp pad. Fold a few baby wipes in half and stack them on top of each other. (We used four here, but really it depends on how much ink you are using for your project, so consider this number on a case-by-case basis.) Using your trusty re-inker bottles, add different ink colors in a random pattern to the top of your stack of wipes. Allow your ink to spread into each other and then use this “pad” to ink your stamp. There you have it folks! Effortless color coordination for all of your crafting brought to you by your friendly neighborhood Exclusive Inks™ re-inkers! Available in every exclusive color and formulated from scratch, use these mighty ink bottles along with the ideas we shared today to make your own, one-of-a-kind, designs. 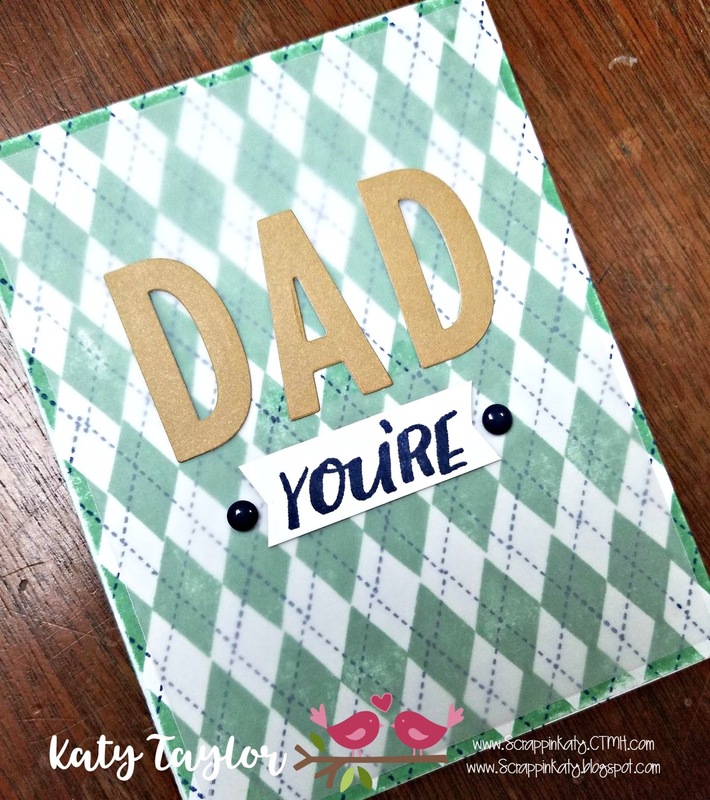 And, of course, if your stamp pad is ever getting dry…. …use the coordinating re-inker to freshen it up! Happy FRI-YAY!!!! I hope you all have a creative weekend planned...I know I do! This month's technique blog theme is MINI IS MARVELOUS and I had FUN making my project! 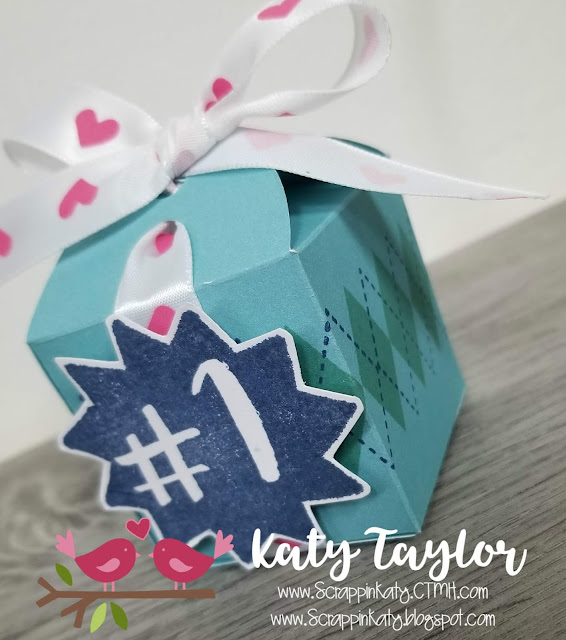 There is only 11 participants this month and I'm the last...but don't worry...if you haven't seen them all, you can hop from here 'till you get back around to where you started! If you've come from Marciava's Blog, there's a good chance you're where you should be! I love that this hop can feature ANYTHING MINI and I chose to go a little out of the box on this one (hehehehehe). Don't you just LOVE that argyle stamp image that comes with the DAD IS RAD Kit...so versatile! Check out this CUTE Raspberry Hearts Ribbon that's ON SALE as a part of the Create The Rainbow campaign...go grab you some at a super discounted price! 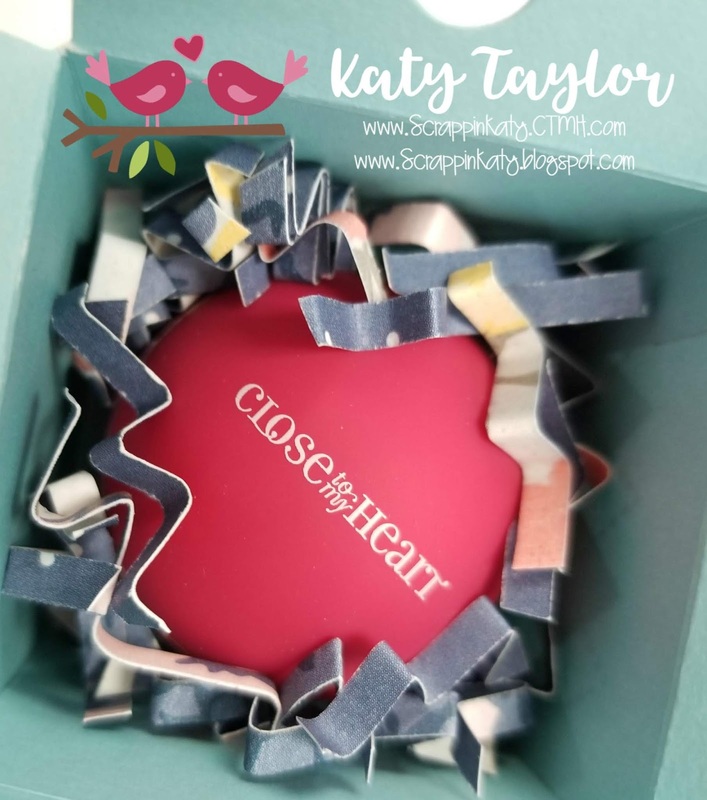 And, to finish off the inside I made my own paper shreds using Beautiful Friendship....that's a tiny lip balm that is going to my downline who has ROCKED her sales goal this Quarter...isn't it CUTE...and MINI!!! 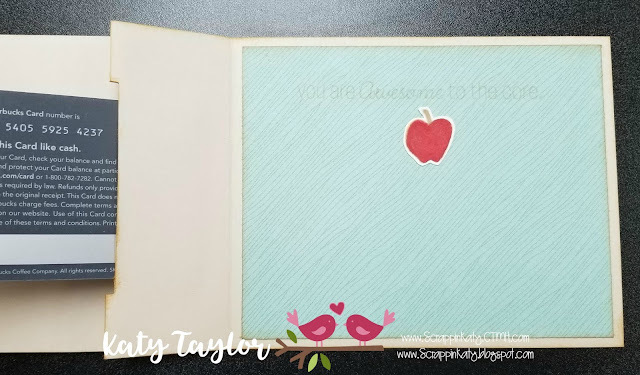 If you haven't hopped all the way around, please take the time to hop on over to Melissa's Blog and see what she has created...from there you can hop around 'till you get back to where you started. This week's challenge over on the H2H Challenges Blog is all about those special men in our lives that we call DAD. 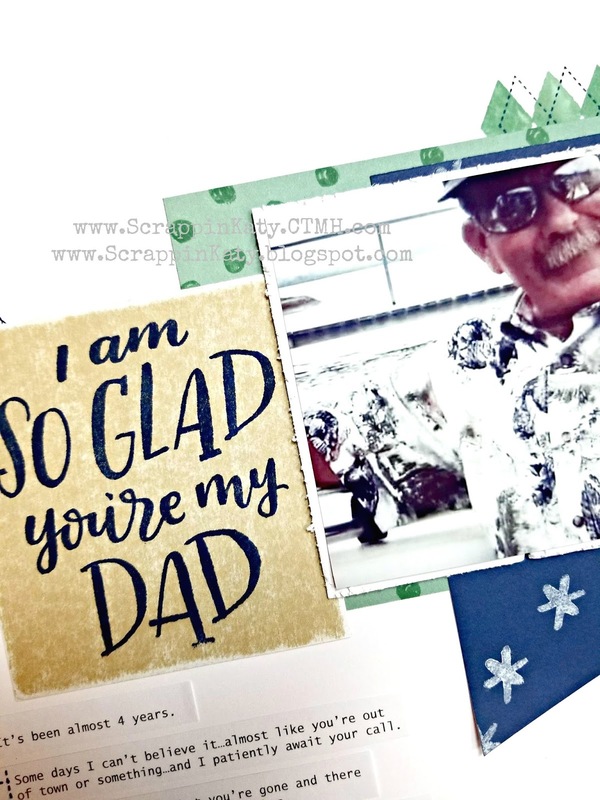 Now, whether that's your husband or significant other or maybe your own dad or father figure in your life, we WANT TO SEE your projects honoring these fine men! 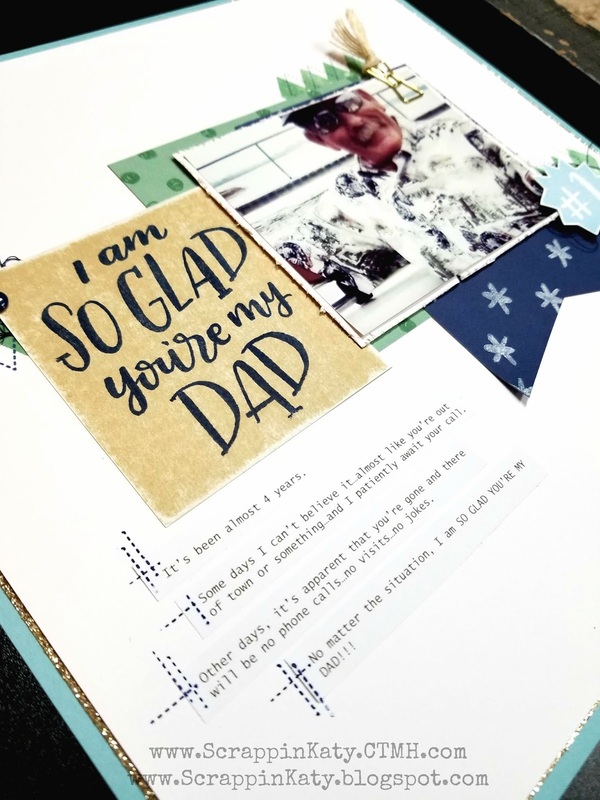 I chose to do a layout using this month's DAD IS RAD campaign from CTMH. 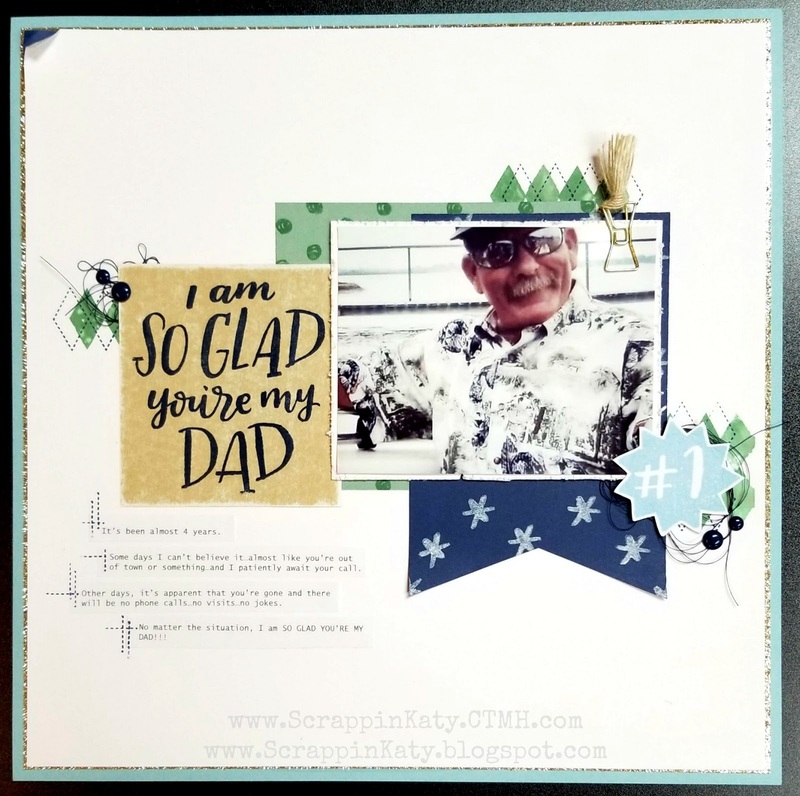 I also wanted to scrapbook this photo of my daddy...check it out! 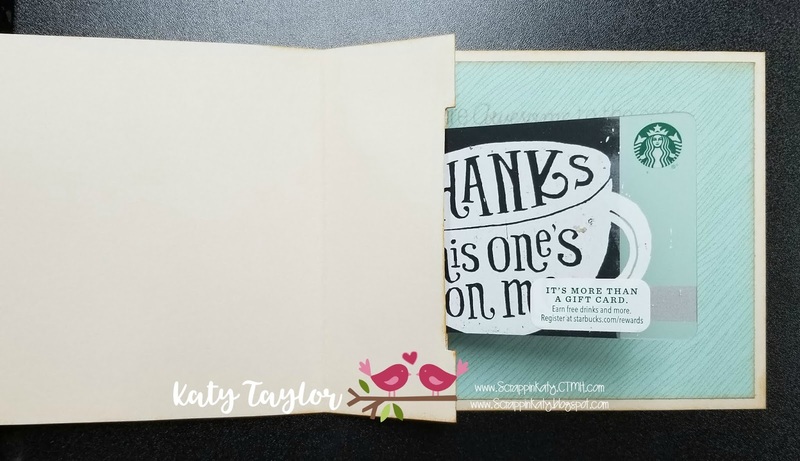 Thanks for stopping by...I hope you'll take some time to check out the H2H Blog and play along with us...you can even check out the other June challenges and see if they inspire you as well. You have until June 30th to link up your projects! 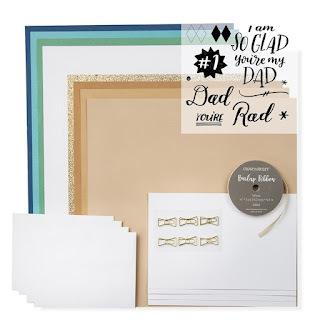 Here's a closer look at the DAD IS RAD Kit, only available the month of June!!! Let's celebrate by shopping my FLASH SALE - retired AND some current product on sale NOW...but only for 24 HOURS so you'd better hurry!!! Products Offered at 30% Discount! 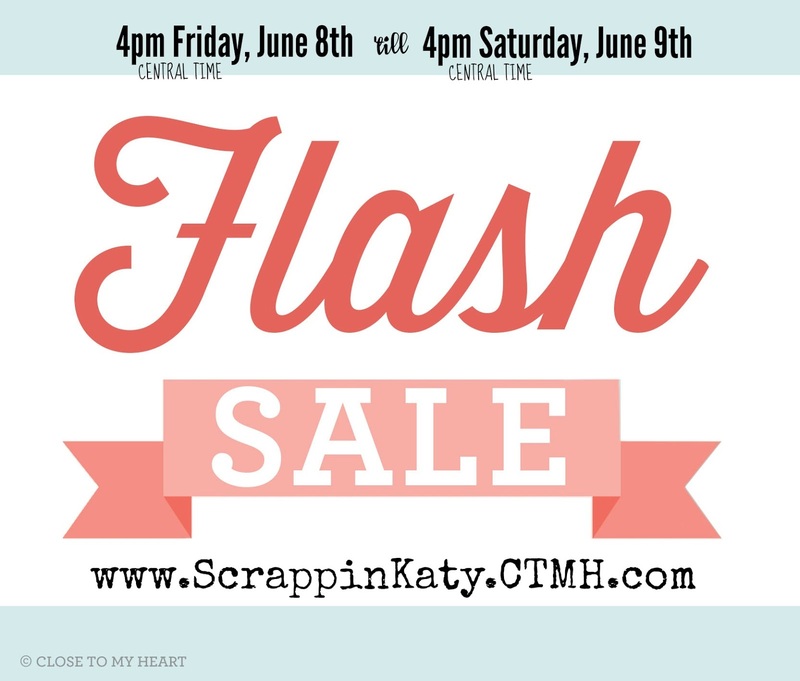 Act fast to take advantage of this 24-hour Flash Sale on current and retired products! Sale runs now until 2:59 pm (MDT) on June 9, 2018 while supplies last. Shipping assessed on retail value of all items. Our memory keeping and storytelling enthusiast friend, Stacy Julian, dropped by with a special message about Story by Stacy™ and Story Starter. Take a look and leave a comment below! Welcome to SUMMER and the wonderful HOT month of June! 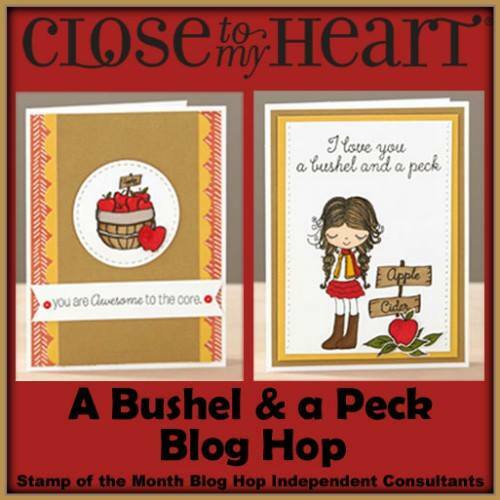 A new month means a NEW STOM BLOG HOP and this stamp set is CUTE!!! 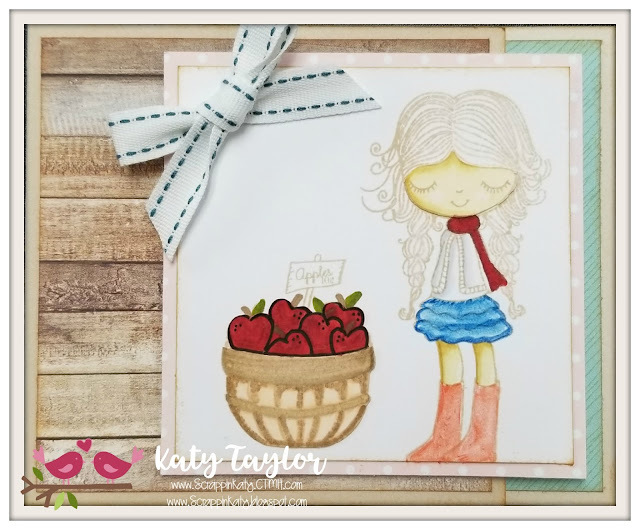 The girl is trendy and the apples and sentiments can be used year-round...can you imagine this stamp set in the Fall! If you've come from Jean's Blog, you're on the right track! There are only 21 Hoppers this month so it shouldn't take you long to browse through all the inspiration! Here's a look at the stamp set...see, I told you!!! 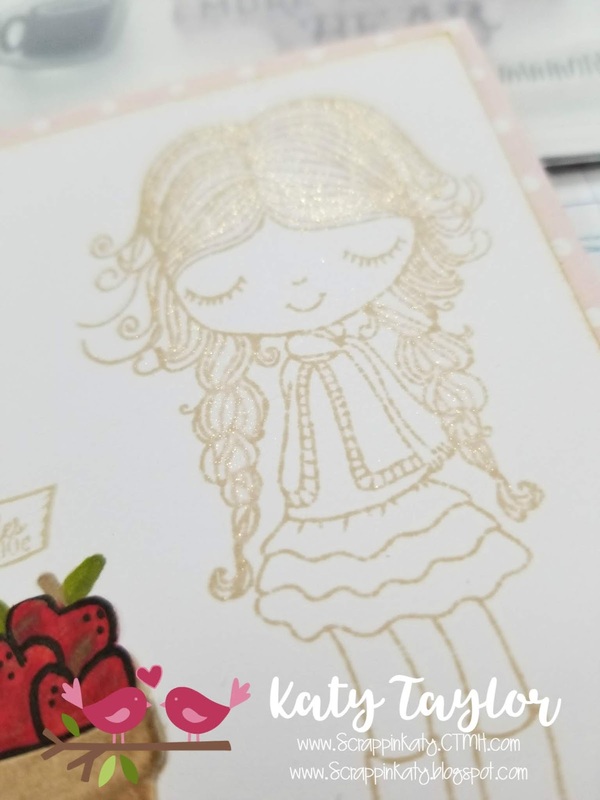 Can you see the sparkle on her hair...I used the Gold Shimmer Brush and I LOVE IT! Thanks so much for stopping by on the wonderful June weekend!!! I hope you'll take the time to hop on over to Brandi's Blog and see what she's created with this months SOTM. 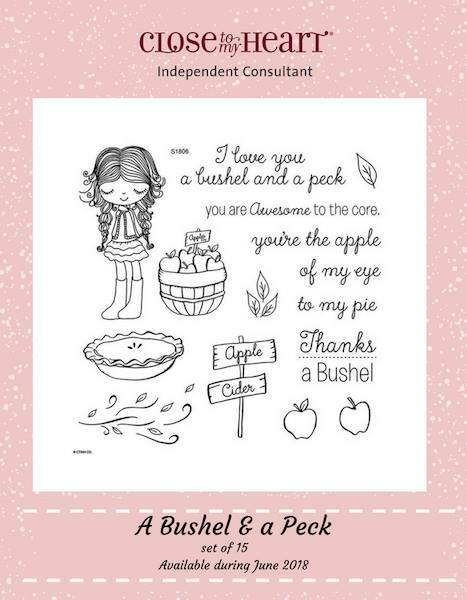 Don't forget, you only have the month of June to purchase this stamp set for as little as $5 with a qualifying purchase!